I always seem to be re-arranging my living room furniture. Whether it’s making the room more comfortable for my guests or more cozy for fall, knowing these furniture arrangement tips for successful living room layouts definitely helps get the job done. 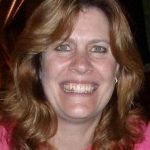 Back at the beginning of January, I sent out a short survey asking everyone what they needed help with when it came to decorating. Since I have just spent a bunch of time re-arranging the furniture in my living room to get ready for my annual Super Bowl party (and then re-arranging it again after the party was over), I figured now is as good a time as any to talk about living room layout ideas. I like to think of furniture arranging like a puzzle. 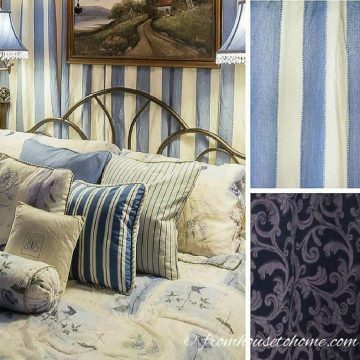 There’s a way that all the pieces will fit together perfectly which makes the room look and feel “right”. But if you have the pieces put in the wrong way, it just never ends up looking like you want it. Fortunately, there aren’t that many rules to follow when figuring out your living room layout, so hopefully all of the pieces will fall into place without too much work. Before you start actually moving your furniture around, there are a few homework items to do. 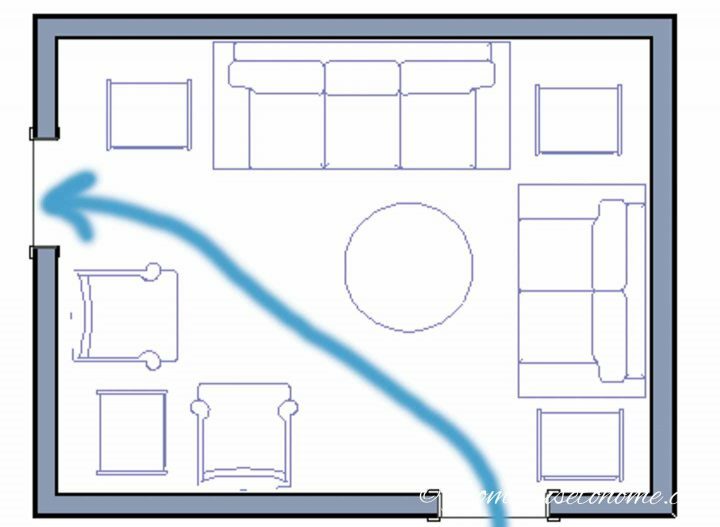 The first thing you need to do when arranging your living room furniture is to figure out where people walk when they are going through the room. The obvious traffic flow paths are between all of the doorways in the room. But there may be some others, if you have other areas in the room that are a “destination”. Maybe you have a built-in bar, a wood burning fireplace that needs to be stocked, or some casement windows you like to open. Make a special note of any of the areas where furniture gets in the way of the traffic flow. The second living room furniture arrangement decision is to figure out what you want your focal point to be. This could be your fireplace, the beautiful view out your window, some artwork that you love or even the TV. 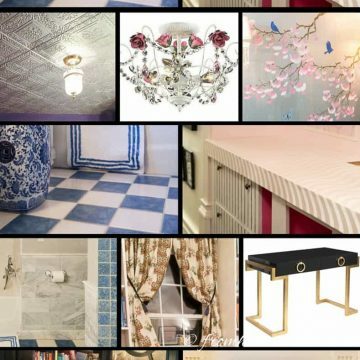 If your house is like mine, you may have multiple focal points to choose from. My living room has a large window and a corner fireplace (both of which I love). Plus there’s a TV. To be totally honest, there are 2 TV’s. (One of them is leftover from the Super Bowl party and may or may not make its way out of the living room at some point.) In any case, I don’t really want the TV to be a focal point, but I do want to be able to watch it comfortably. So getting back to focal points…I actually have a different living room focal point for different seasons. But you do need to have only one focal point at a time. 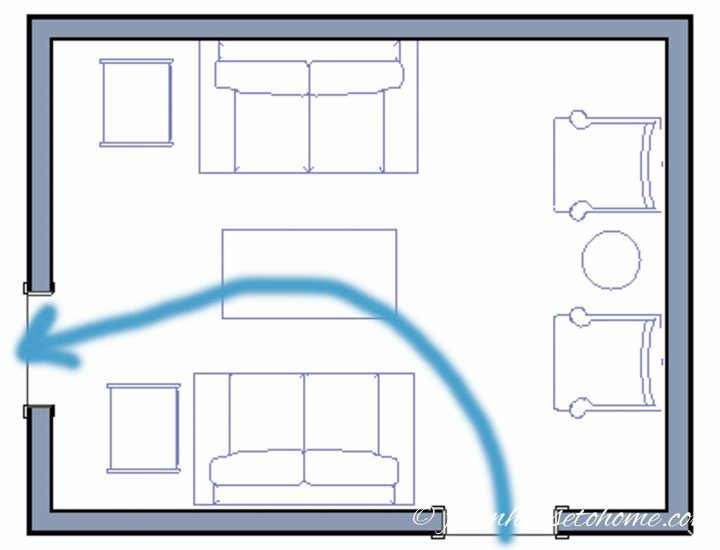 Okay, you can skip the living room diagram if you want to. 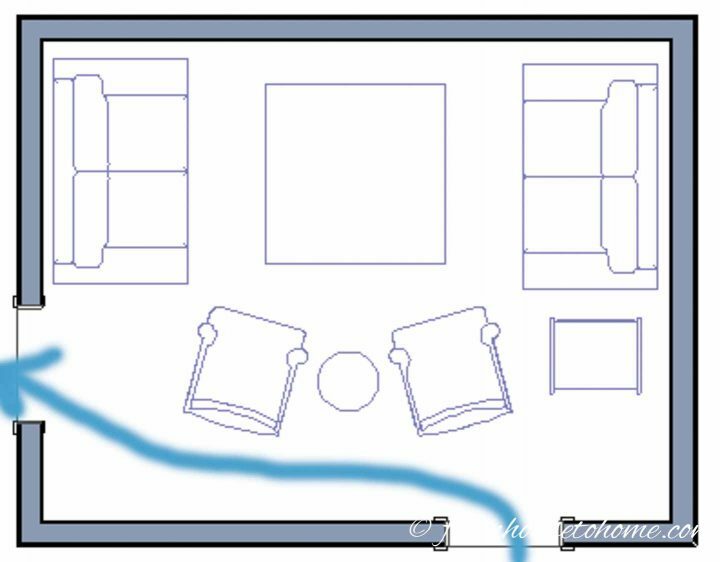 But I find it’s really helpful to draw out how I think the furniture should be arranged before I start moving stuff around. Ideally, this is drawn to scale on a piece of graph paper or using a room design app (ie. you measure the length of all your walls and your furniture, and then draw them the right size in the right place so that you know everything fits). I don’t always do the “to-scale” part. But, even a rough draft helps so you have an idea of what living room layout you want to try. 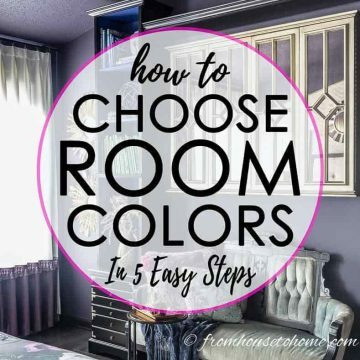 Regardless of whether you’re drawing your furniture arrangement out or just going to start moving furniture around, there are a few guidelines you want to follow if at all possible. 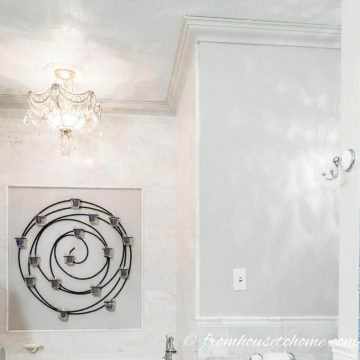 Note: This image cannot be pinned due to houzz.com Copyright restrictions. If you have any furniture that only fits in one or two places in your room, put that furniture in first. For small living rooms, there may be only one way that your large couch will fit in your room. 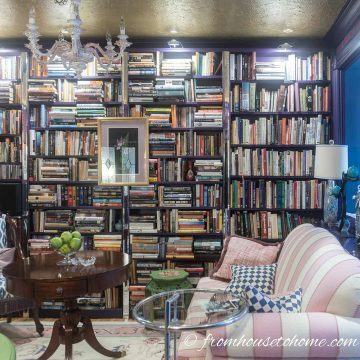 Or if you have an open concept room, there may be only one wall that is big enough to fit your large armoire. 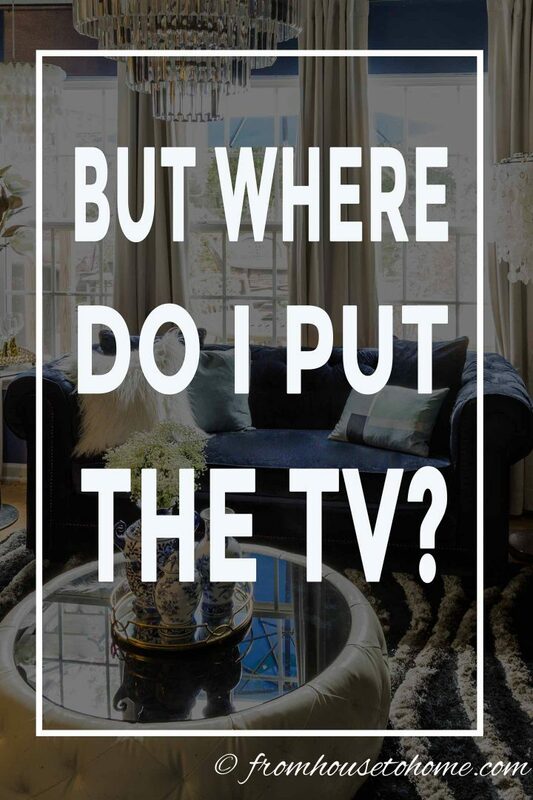 If you are going to have a TV in your living room, you will need to figure out where to place it. You will likely want it to be somewhere in the vicinity of your focal point so that you’ll be able to see both from your seating arrangement. For best viewing, you don’t want it to be directly across from a window that will cause a lot of reflection on the TV. This is the easiest way to have the fireplace as the focal point and still be able to watch TV easily. You do need to make sure that it’s not too high to watch TV comfortably. And it does limit your fireplace decorating options if that’s something you like to do. 2. On the wall next to the fireplace. 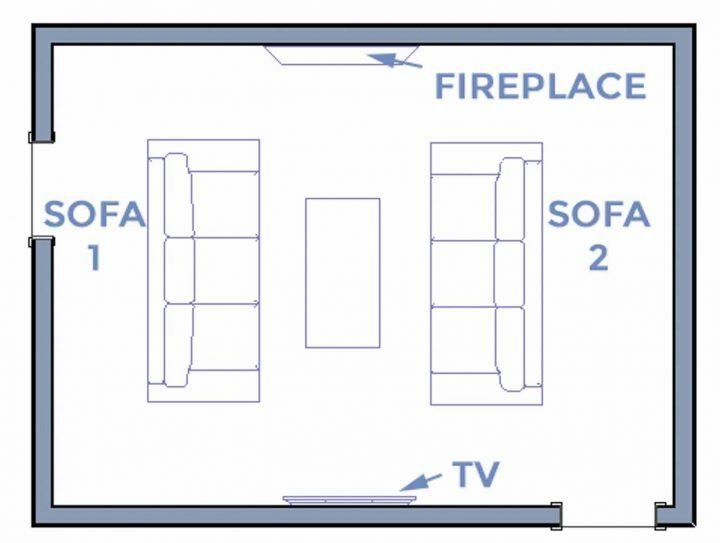 Creating a seating arrangement that can see the fireplace and the TV is also fairly easy with this layout. And you have more control over the height of the TV so it may be a more functional living room arrangement. 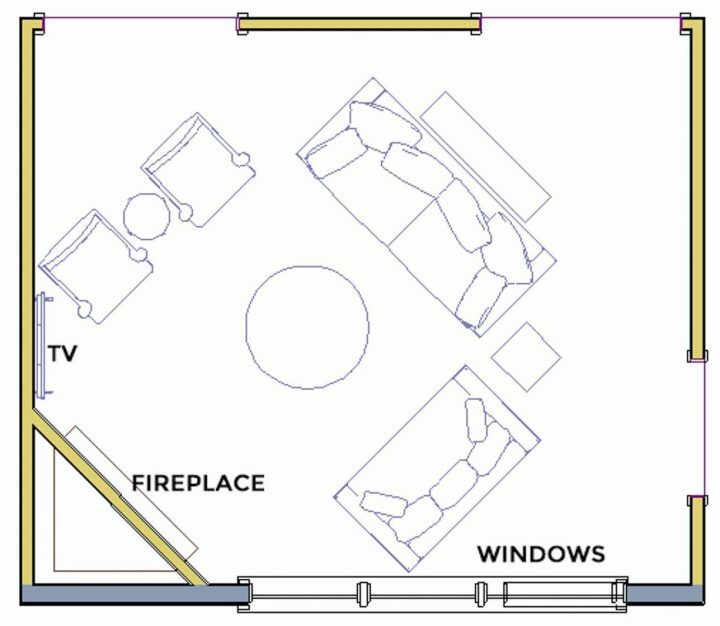 Note: The fireplace doesn’t have to be in the corner like this diagram. This just happens to be how my living room is laid out. 3. On the wall opposite to the fireplace. 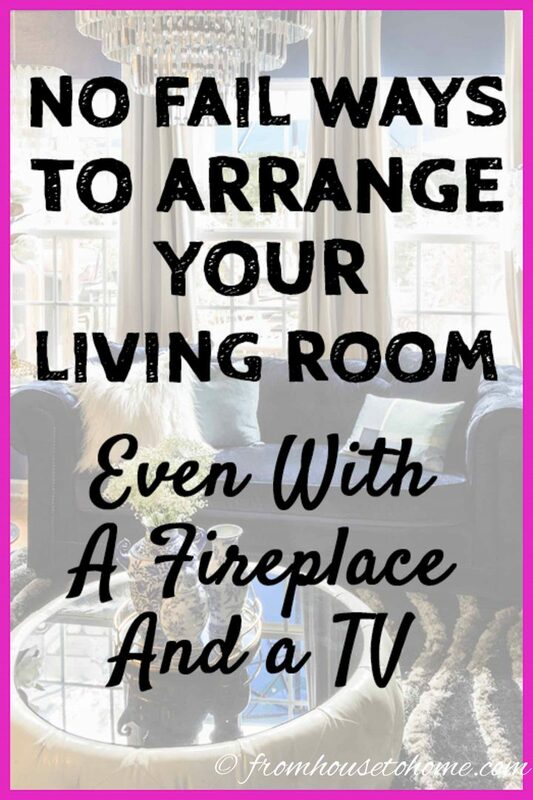 In order for this to work, you need to set up your furniture so you can see both the TV and the fireplace. 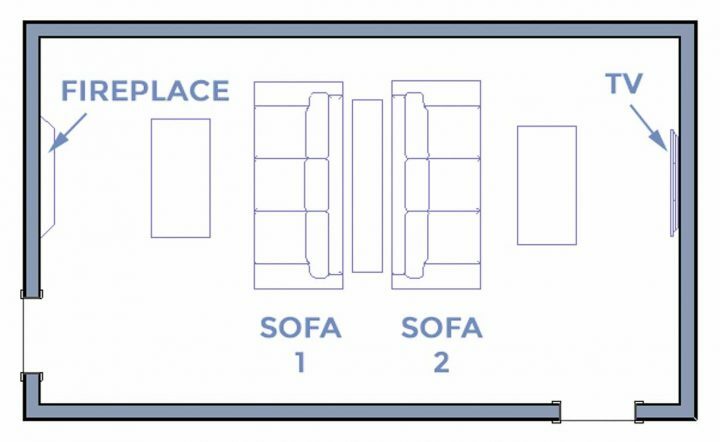 For smaller rooms, this means having the sofas run perpendicular to the fireplace and TV walls. 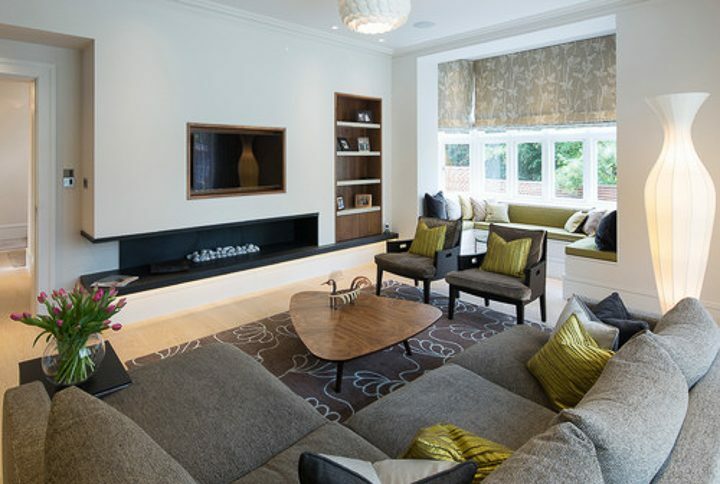 For a larger room, you could have back to back sofas where you sit in one to watch TV and the other to see the fireplace. If you find a spot that you think would be good for viewing but don’t like the idea of seeing the TV there all the time, you can always use one of these ways to hide the TV. 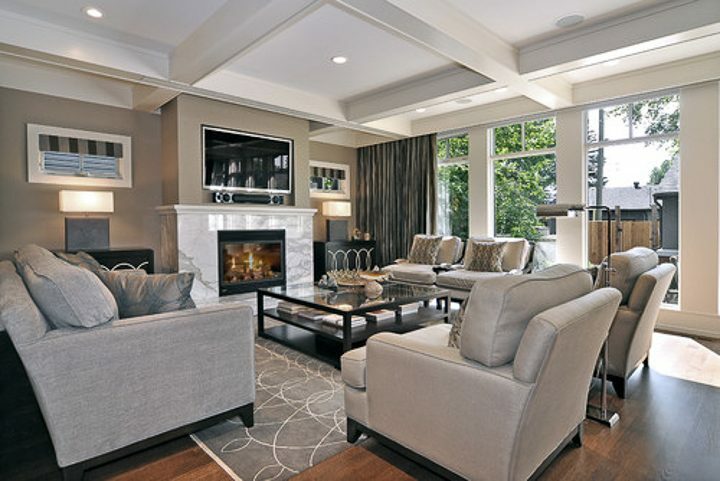 The next step of designing your living room layout is to create conversation areas. These are groupings of furniture where people can sit and talk. 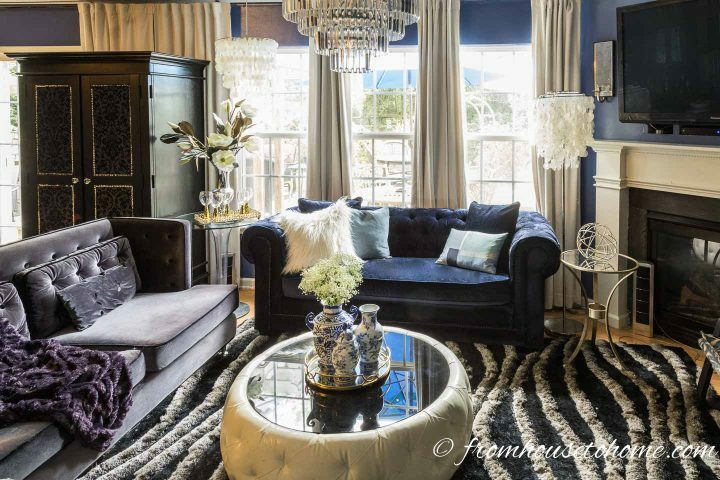 You will want your main conversation area to be oriented around your focal point. And be able to see the TV (if you have one in the room). The easiest way to do this is to have your sofa facing directly at your focal point. And then create a U-shaped conversation area around it. To make your conversation area feel comfortable, try to group your furniture so people are sitting at a 90 degree angle from each other or across from each other, rather than right beside each other. Most people do not feel totally comfortable talking to someone sitting directly beside them. Think about an auditorium with a bunch of empty seats, most people will pick a seat that has one or two empty seats around it. Also, furniture in a conversation area should not be placed more than 8 feet apart. 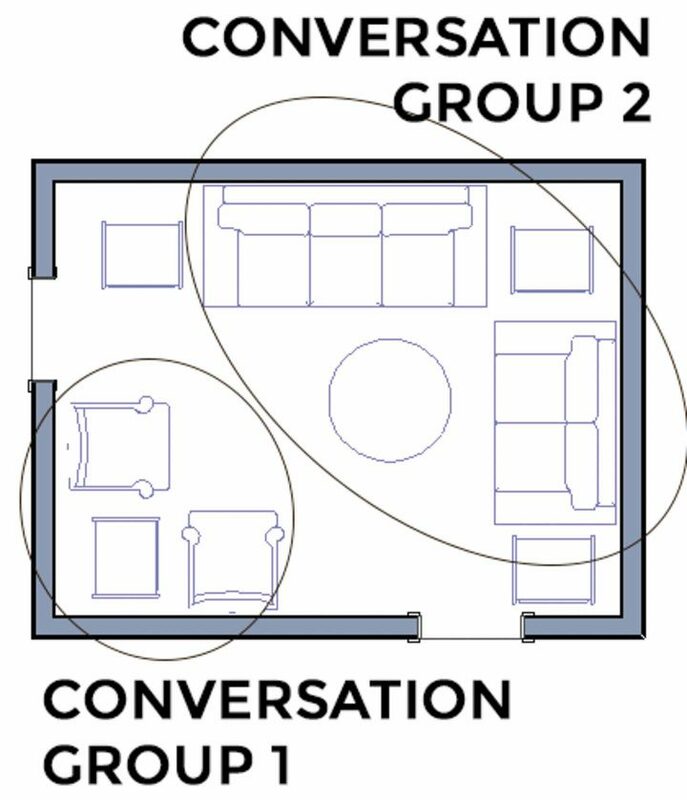 If you have a big room (or a long thin room), you may need to break the room up into multiple conversation areas, rather than making one big one. Benches are a versatile way to split up a long room, since they don’t take up a lot of space and you can sit on them from either side. For small rooms, you may want to consider not using a sofa at all. 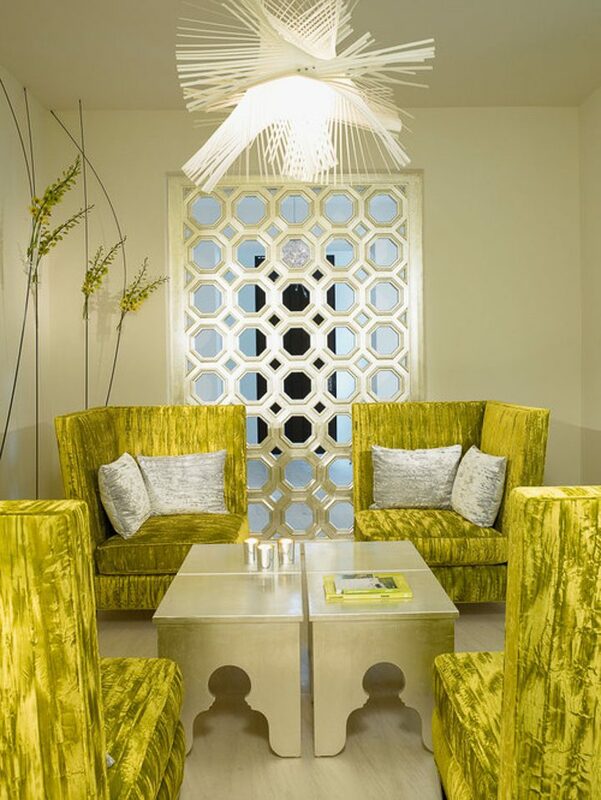 A grouping of 4 chairs around a table can make a really cozy conversation area that doesn’t take up much room. Now you’re going to look at the living room furniture arrangement you’ve created and make sure the traffic flow works. Remember those traffic paths you defined above? You need to make sure that when people are walking through the room along those traffic flow paths, it doesn’t feel like an obstacle course. You know where they have to jump over a table, walk around a sofa and trip over the edge of a rug to get to the other side. If you are lucky and the doors to your room are all on one side of the room, you may be able to solve this easily by pulling the furniture away from the wall. That creates a walkway behind your seating arrangement that gives people a straight path to their destination. The pathway should be about 3 feet wide to create a comfortable walkway. Don’t worry, there aren’t “walk a straight path police” 🙂 If you have the space and want to add something like a console table against the wall to add some interest, that’s totally fine. a. Place the furniture in the center of your room so people can walk around the edges of the room to get to where they want to go. 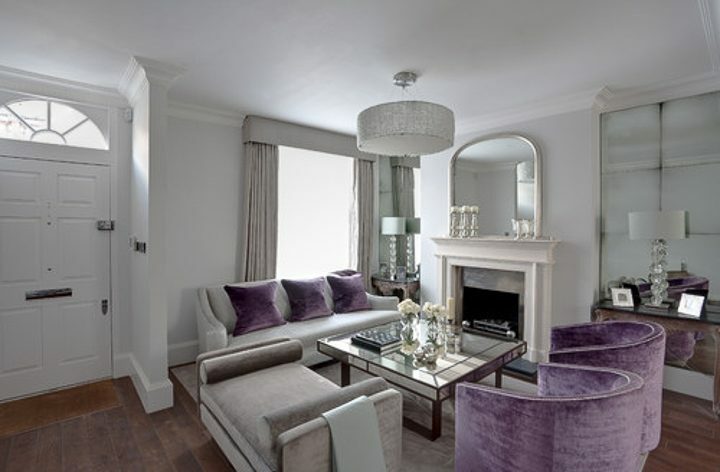 This arrangement works well for rooms that are quite large or have patio doors on one side. b. Arrange your furniture in smaller groupings so that people can walk through the middle of the room without running into obstacles. This arrangement is often necessary in smaller rooms that aren’t big enough to pull all the furniture away from the walls. You do want to avoid having the walkways go right through the middle of a conversation area if at all possible. People can sense that it’s a walkway even if no-one is currently walking there and it creates a divide that can make your conversation area feel uncomfortable. Finally, you want to add in your tables, are rugs, lamps and other accessories to your living room furniture arrangement. All seats should have a table close by to put down a drink. Coffee tables should be about 14″ to 18″ away from the edge of the sofa (or chairs). If tables are close to a walkway, consider using round ones instead of square ones. They are less likely to get banged into. Find more tips for creating a comfortable living room HERE. Hopefully you’ve found some inspiration from these living room layouts that will help make your living room furniture arrangement the best it can be. Have comments or questions on our living room layouts and furniture arrangement tips? Tell us in the section below.